There are some similarities between incumbent Republican Gov. 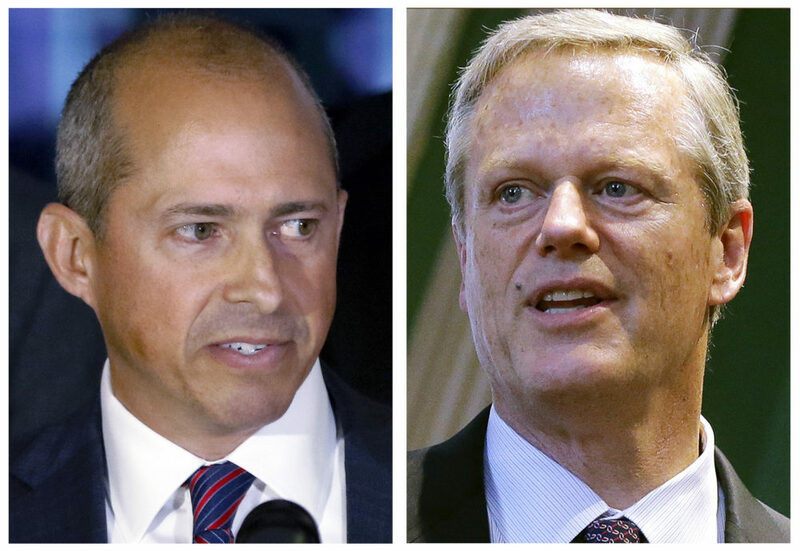 Charlie Baker and his Democratic challenger, Jay Gonzalez. Each at one time served as the state's administration and finance secretary. Both went on to head up health insurance companies before running for the corner office. But one key area where they differ is taxes. At a televised debate last week, Gonzalez wasn't shy when talking about the need for new taxes. "I'm going to ask the wealthy to pay more in taxes so that we can make these investments that are going to make a difference for working families across this state who cannot depend on this [transportation] system to get to work on time," he said. "I am not running for governor to manage around the status quo. That's not good enough." With a few exceptions, Baker has held off raising new revenues, even when faced with a nearly billion dollar deficit when he took office almost four years ago. "Everybody told us we were going to have to raise taxes to pay for it. We didn't," said Baker in that same debate. "We balanced the budget. We came up with smarter ways to deliver services, made big investments in all kinds of agencies and local services, and now we have a big surplus, and we just finished depositing almost $600 million into the rainy day fund." Baker plans to stay the course, if elected to a second term. He vows to continue making investments in transportation. He says the state will spend $8 billion over the next five years on road and public transit initiatives. But Gonzalez charged that approach will simply take too long. "The people across the state who use the T can't depend on it," he said. "It affects their quality of life every single day. Governor Baker's plan is that it's going to be fixed in 15 years. And he hasn't even said how he's going to pay for that." Gonzalez favors reviving the so-called "millionaire's tax," a constitutional amendment that would have put a 4 percent surtax on income above $1 million. It was set to go before voters this November. That was until the Supreme Judicial Court determined the way the initiative petition was written made it unconstitutional. Gonzalez has a plan to raise $1 billion right away. He proposes a 1.6 percent tax on large private college endowments. Baker dismissed his challenger's tax plan. 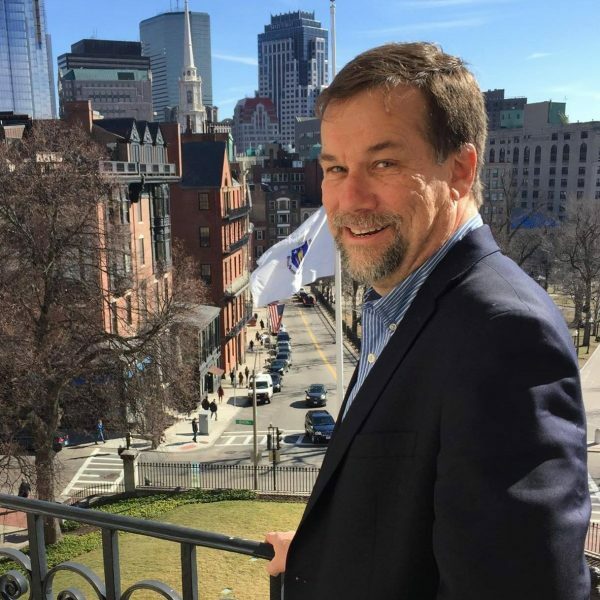 "One of his own former colleagues called the tax on college endowments a 'spectacularly bad idea,' and yes, it would come primarily from students and their families because it funds a big piece of scholarship and student aid money," Baker said. Nevertheless, there appears to be some appetite for raising taxes on the wealthy. A WBUR poll conducted this past spring, before the millionaire's tax amendment was struck down, showed 77 percent of those polled favored the surtax. And some budget watchers believe that shows voters are willing to consider new taxes. "One way would be by asking our highest-income households to contribute their fair share," said Marie-Frances Rivera, with the Massachusetts Budget and Policy Center. "Right now our state tax system is upside down, so our lowest-income people pay the greatest share of their income in taxes. And as you know the very wealthy households have benefited enormously from economic growth over the past four decades." Other analysts warn against higher taxes that could discourage new business in Massachusetts, but agree the overall tax burden is worth examining. Eileen McAnneny, of the Massachusetts Taxpayers Foundation, says some sort of a strategic plan is needed, and is calling for the formation of a commission to take a look at the issue. "I think what doesn't work is when you have a one-off tax here, you know maybe add a little there, and there's not an overarching plan for how to do this," McAnneny said. "And so for us we think it's important to step back, to look at it comprehensively, and to think about how our economy has changed." But the outgoing chairman of the House Revenue Committee says the time for talking about changing tax policy is over. State Rep. Jay Kaufman, a Lexington Democrat, says it's time for action. "There is no lack of ideas. There's a lack of will," he said. "So I don't think a commission is going to stiffen the resolve of anybody in office. I think it's simply a matter of political will. And there has not been that critical will, which is why ... one fundamental fix, at least, for our situation was brought to us by virtue of an initiative petition." Kaufman, who's leaving the Legislature after serving 24 years, predicts the amendment to impose a surtax on income above $1 million will be taken up by the Legislature, and will ultimately be placed before voters in 2022. It remains to be seen whether voters will still support it four years from now, or if they'll even take into account Baker's or Gonzalez's positions on taxes when they cast their votes in the governor's race. This segment aired on October 25, 2018.